Global growth has increased significantly since 1947, with open economies responsible for lifting billions out of poverty. However this growth has not been even, and now appears to have slowed. Key to this has been the market distortions which have had a disproportionate impact upon the world’s poorest people. 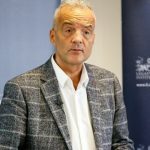 Led by Dr Stephen Brien and advised by some of the world’s foremost trade experts, our Global Index of Economic Openness will enable governments to assess the economic impact of these market distortions, providing the international community with a unique tool to identify and tackle economic inequality. Pam Bateson started working in business at the age of 11 – helping out in her father’s print business. From this early start, she got a clear sense of the factors that make businesses successful: adaptability, entrepreneurialism, hard work, and the ability to listen to name just a few. Pam honed her skills working in Sainsbury’s, where she progressed through the company’s management training programme, and in the NHS, where she worked on new funding models and implementing trust status. After this, she embedded lean principles into manufacturing, before setting up own management consultancy, Zinnia consulting in 1999. Dr Gerard Lyons is the Chief Economic Strategist at Netwealth Investments. In his role, Gerard leads the firm in the identification of future trends and macro-risk arising from shifts in economic, political and regulatory policy. 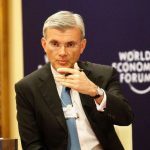 A regularly-cited and respected economic forecaster of the global economy, Gerard was formerly the Chief Economic Adviser to Boris Johnson, the Mayor of London and Chief Economist and Group Head of Global Research at Standard Chartered, a position he held for 13 years in addition to a number of other senior roles within the bank. 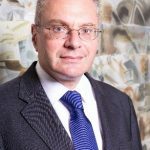 David Landsman is until December 2018 Executive Director of Tata Limited, the UK-registered subsidiary of Tata Sons Limited representing the Tata group in Europe. He is also Chair of the Confederation of Indian Industry (CII) India Business Forum UK, a Director of the UK-India Business Council and a Visiting Fellow of Judge Business School University of Cambridge. He was previously a British diplomat, serving as Chargé d’Affaires in Yugoslavia and Ambassador in Albania and Greece, as well as a negotiator of bilateral and multilateral nuclear agreements, including with Libya and Iran. He has also worked in international government relations and marketing at De La Rue plc. David has an MA from Oxford University and a PhD in linguistics from Cambridge University, and is a Chartered Director. He speaks and writes regularly on business and other issues. Graeme Leach is founder of Macronomics, a macroeconomic, geopolitical and future megatrends research consultancy. Prior to establishing his company he was director of economics at the Legatum Institute, where he remains a senior fellow. Previously, for 16 years, he worked as chief economist and director of policy at the Institute of Directors, where he was also a board member. He is a life fellow of the IoD. 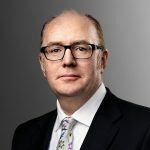 Prior to the IoD he was variously, an associate director, chief UK economist and chief international economist at the Henley Centre for Economic Forecasting. He has also worked as economic adviser to the Scottish Provident investment group. Graeme is a frequent media commentator and writes a regular column in the City AM newspaper. 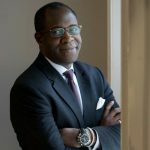 Richard Odumodu is a financial markets and investment management professional with 20 years’ experience spanning corporate coverage and advisory, debt origination, structuring and distribution and portfolio management. His career began in Canada with sales trading roles (TD, CIBC) before moving to the UK. From 2007 to 2011 he led Barclays’ UK government coverage in the corporate and investment banking division. Since 2011 he has been focused on investment management in emerging and frontier markets, particularly Africa, with lead portfolio manager and fund strategist roles at a boutique and institutional alternative investment managers (Silk Invest, Cheyne Capital). Recently, he combines various senior advisory roles with corporates and institutions operating in Africa with his academic work as a Visiting Fellow at Cass Business School Cass where he is completing his doctoral research on capital markets and political economy in Africa. 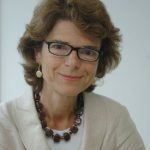 Vicky Pryce is Chief Economic Adviser and a board member at the Centre for Economics and Business Research (CEBR). 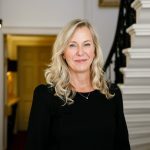 She was previously Senior Managing Director at FTI Consulting, Director General for Economics at the Department for Business, Innovation and Skills (BIS) and Joint Head of the UK Government Economic Service. Before that she was Partner at the accounting and consulting firm KPMG after senior economic positions in banking and the oil sector. She holds a number of academic posts and is a Fellow and Council member of the UK Academy for Social Sciences, a Fellow of the Society of Professional Economists and a Companion of the British Academy of Management. She sits on the Council of the Institute for Fiscal Studies, on the Advisory Board of the central banking think-tank OMFIF and on the Economic Advisory Group of the British Chambers of Commerce.